Responsive design, engaging content, and SEO are great. But, they aren’t all you need to make your website successful. Those little tidbits of text - from a few words to a single sentence - scattered throughout your website, are what ultimately lead to website conversions. We call this microcopy. It is what helps visitors along as they journey through your website. When you master microcopy, you will have mastered UX. This is how you can start to make small adjustments to your website that will create huge increases in leads and sales. The first part of your website that a reader will see is everything above the fold (what appears on a web page before scrolling. On most pages, that will be your header, so let’s start here. 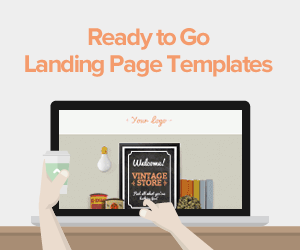 There are so many options for web headers, from images to a simple site title and logo, and beyond. What you do with design is up to you, but there are a couple header elements involving microcopy that are very important. Most importantly, you should include a call to action (CTA) for those users that are visiting your site, after seeing an offer somewhere else, and are ready to convert, or are returning and want to do something they’ve already done. Ask yourself what action you want those users to take, and create a visible CTA to include in your header. This will ensure that the visitors don’t have to go looking to find what they want. Next, note that headers usually involve some sort of navigation menu. Menu titles are definitely a part of microcopy writing. Sometimes, you will want visitors to have easy access to more than a few different pages, in this case, make use of the space you have by using dropdown boxes that consolidate text that can otherwise make a header seem overly-busy and cluttered. Keep in mind that many people will be viewing from mobile devices, and they don’t have the space to see more than 3-5 menu items at one time. The sidebar of your website is where you can expect readers to convert while reading your page content. But, they aren’t going to convert nearly as much if you’re just flooding that section with more posts and text. What do you want readers to do if they get to a point where they have seen enough, and decided to stay connected with whatever product or service you’re offering? Whatever that is, tell them to do it in the sidebar. 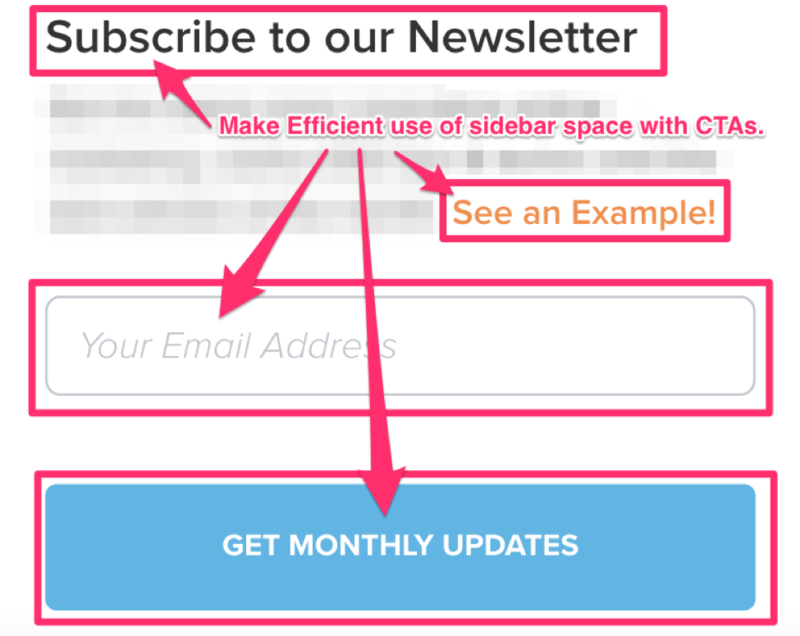 First Microcopy Rule for Sidebars: Make efficient use of sidebar space by using catchy CTAs. Notice that Lander not only asks readers to convert but gives them a preview of what’s to come as well. “See an example” is used as a secondary CTA in the sidebar, inside the subscription form, to give viewers a preview of what’s to come. This was likely implemented due to someone being curious about what they would get if they signed up. Second Microcopy Rule for Sidebars: Listen to your audience, and help them make their next move at every turn. So, you shouldn’t clutter your sidebar with a bunch of junk that isn’t helpful to your audience. You need to stay relevant and provide value. Someone landing on a page about social media marketing isn’t looking for a designer wristwatch, so don’t try to sell them one. Third Microcopy Rule for Sidebars: Be relevant to the content on the current page. As you begin to learn more about microcopy, you will notice that you’re spending a lot of time working in your sidebar. So, while you’re there, follow these rules and you’ll maintain a solid microcopy foundation. 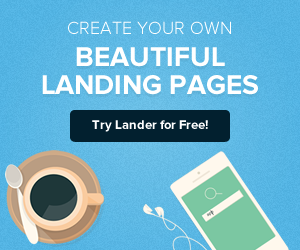 A majority of microcopy is used in CTAs. There’s a magical little trick you should know, and it has to do with the placement of your secondary CTAs in relation to your primary CTAs. First, you need to understand the difference. Primary CTAs are those that you most want readers to convert at, and they should be the highly visible. Bright colors and using exciting phrases rather than single words work best for primary calls to action. You should be writing short, powerful headings above your primaries, and include brief descriptions - no more than 2 sentences - when you have the space. Secondary CTAs are those that you want readers to convert at if they don’t decide to convert at the primary. 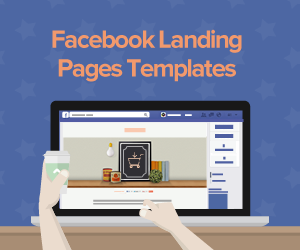 Secondary calls to action are generally in style with the rest of the text surrounding them. So, if they look just like the rest of the text nearby, how can you ensure that people see them? Place your secondary CTAs right next to your primary CTAs. By doing this, you are more likely to draw readers’ attention to them, as they were just lured in by the primary. What Else is Microcopy Used For? Though the main place you will use microcopy will be in your calls to action, it is much more than this. Some simple yet successful websites are able to bypass FAQ pages all together by using microcopy in their forms and places where trouble can potentially occur for website visitors. 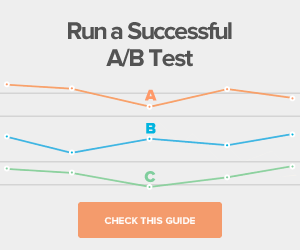 This is the best way to increase conversions. Any time you receive a customer complaint, or notice a challenge that your site may pose for visitors, you should get to the microcopy writing think-tank immediately. With microcopy, you can write-in notes that alleviate privacy concerns, let readers know about available features, and nearly anything else that could be taking away from a flawless experience for your audience. As you start down the road to creating converting microcopy, you will need to evaluate your CTAs. Then, you can start helping visitors out by alleviating their concerns. Go take a look at your website now, and analyze whether you think you’re doing everything you can to engage visitors with microcopy.